There’s nothing better than a custom closet. OK, that’s not 100% true, but a custom closet is definitely an upgrade. When you move into a new place and all it has in the closet is one builder’s grade wire shelf that you’re supposed to hang all of your clothes on and stack the rest of your junk on top of, it causes problems. 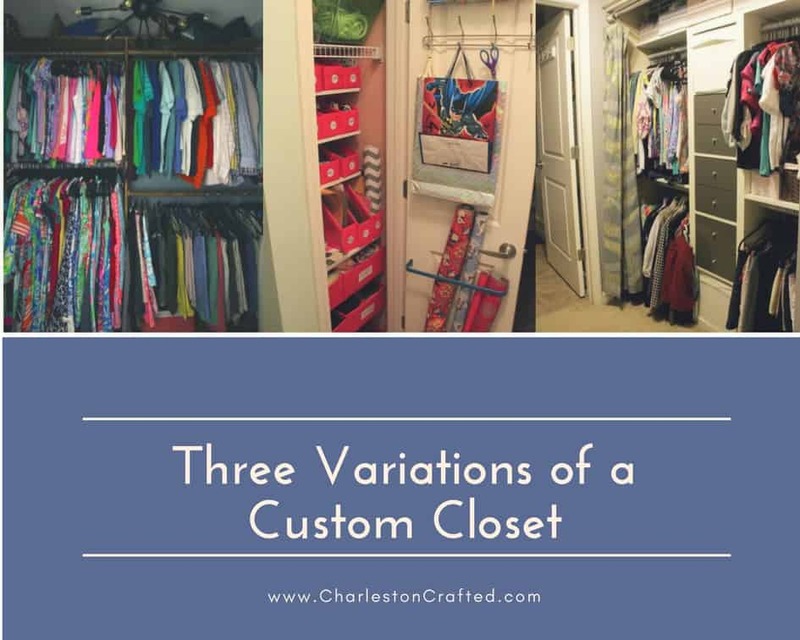 That’s why we’ve done three variations of a custom closet that can hopefully inspire you. The first custom closet we ever did was in our master bedroom at our condo. 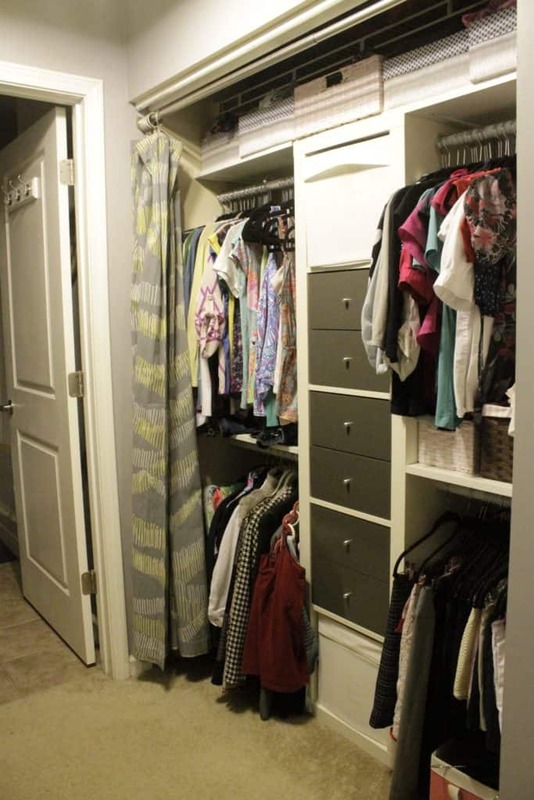 It was a walk-through closet with closets on both sides. We took out the wire shelving and added some IKEA cube units, wooden shelves and rods at custom widths and heights. This combination was cheap and super customizable. 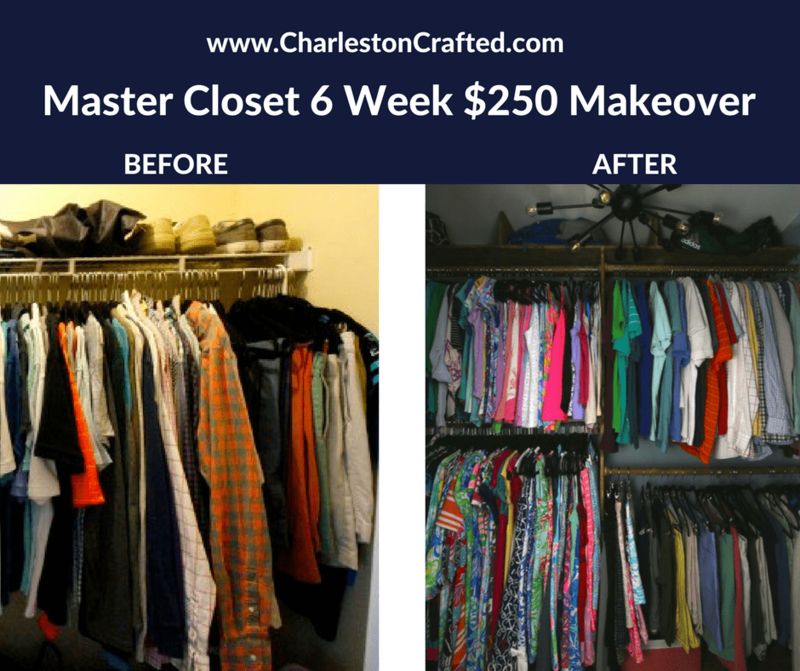 When we got to our new house, we built a wooden closet unit that fit perfectly inside of our new master closet. Using sheets of wood cut to the proper size, we created grids with rods to fit everything we needed. You could easily adjust this to your size. 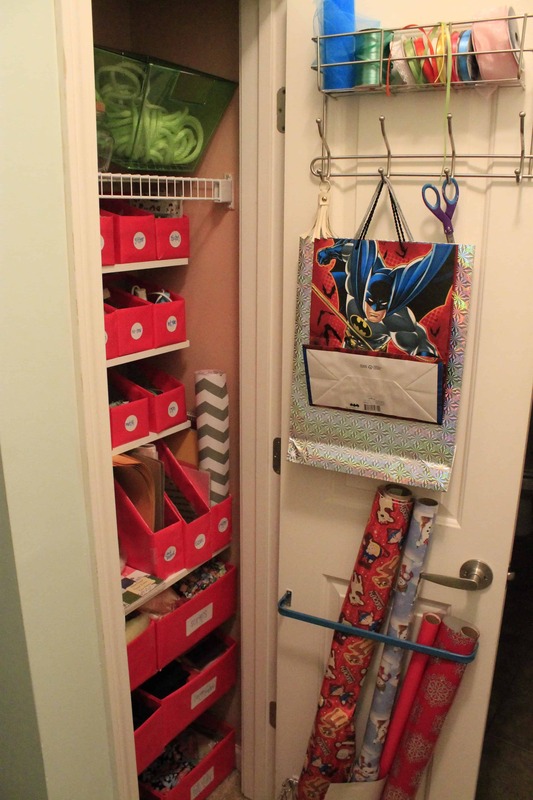 We also put in a semi-custom craft closet back when we were in the condo. 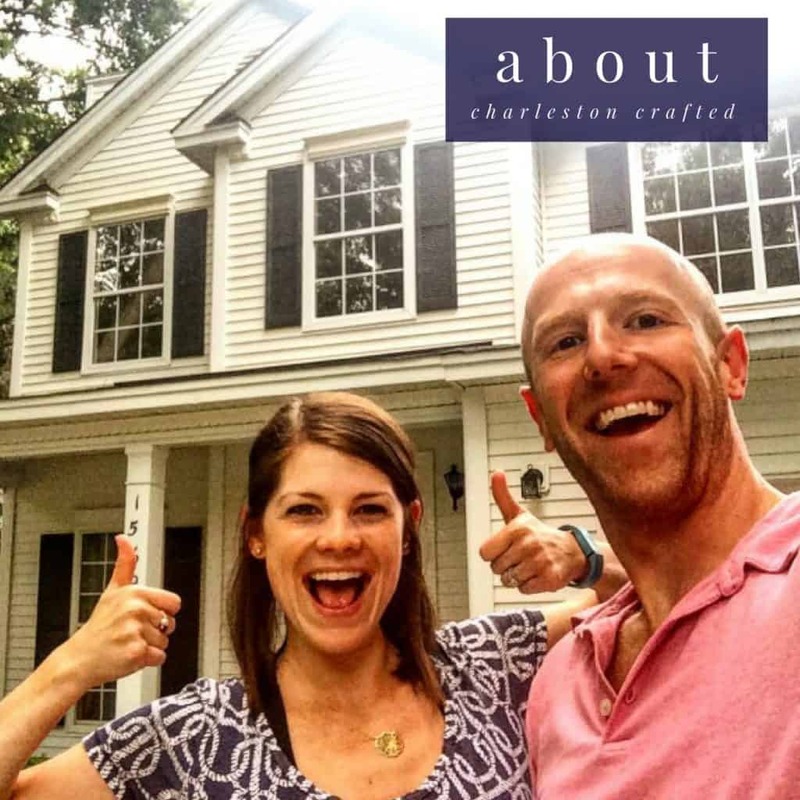 We used it to store all of Morgan’s craft supplies and used old boxes covered with wrapping paper to make storage containers and filled them out. We also have done two custom pantries, which are pretty much food closets, so check out the one we did in the condo and the one we just did in the house earlier this year. 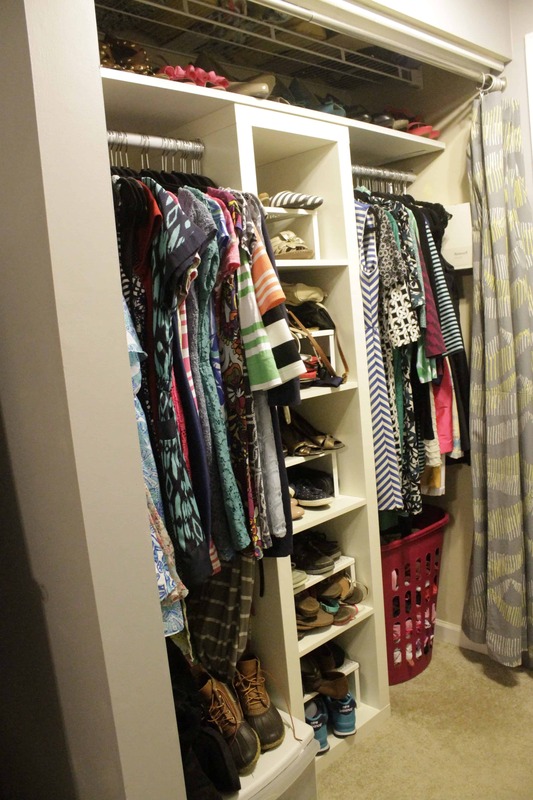 There are lots of ways to customize your closet. Depending on the shape and size, the best thing to do is to draw it out, measure your clothes (with the hangers!) and then build areas that fit perfectly, taking into account space for the rods. If you have any questions or want some input, comment below and we’d love to help!